Hannah Burke is a licensed Occupational Therapist. She completed a pediatric specialty fellowship through the Child Development and Rehabilitation Center at OHSU with advanced training in autism and other neuro-developmental conditions. She loves working with children and families to address functional participation, with a focus on sensory based challenges. Hannah is also involved in research investigating the importance of intensive, outdoor OT models for children and young adults. Hannah typically specializes in working with young children to young adults who struggle with regulation, sensory processing, ASD, motor coordination, self-care, and life skills. 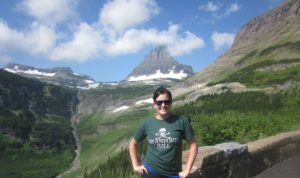 When not working as an OT Hannah enjoys hiking with her three dogs, cooking, and traveling. She loves working with children and families at Heron Hill to support them in more fully participating in desired and necessary activities.